When you have, quite literally, everything--or at least the capacity to buy everything--what do you want? Solid gold models of $400,000 cars, apparently. 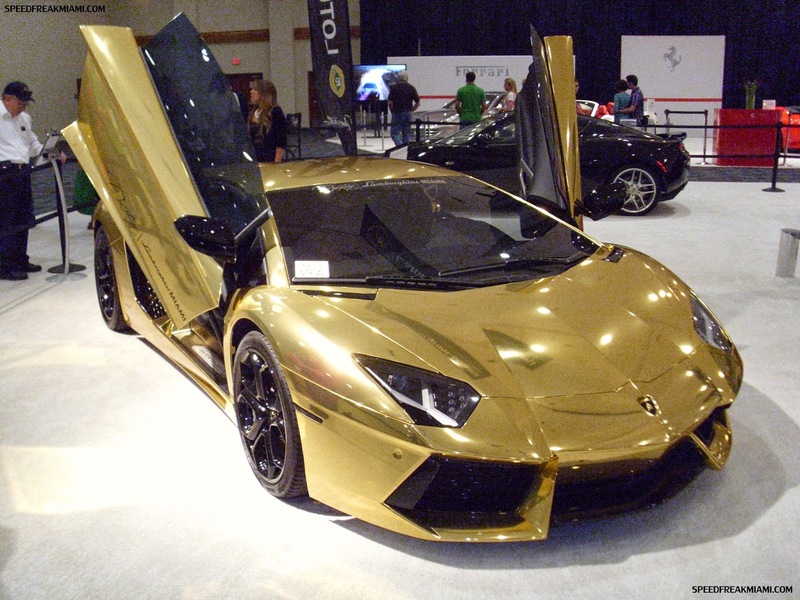 That's our take-away from this $7.5 million solid gold Lamborghini Aventador model, anyway. Carved from an 1,100-pound block of solid gold, the model will weigh 55 pounds. In solid gold. Fortunately for the automotive world's collective soul, the model is being put up for auction, with $650,000 intended for charity. Fortunately for the security of the showroom in Dubai, the model currently on display is a prototype, made of less valuable materials, reports CNBC. This isn't the first time we've caught wind of this model by Robert Gülpen. Back in 2011, the model was announced with the intent of becoming the most expensive model car in the world. Gold, platinum and diamond encrusted Lamborghini Aventador LP 700-4 modelGold, platinum and diamond encrusted Lamborghini Aventador LP 700-4 modelThe model still hasn't been built, but Gülpen clearly has the intent to do so, and he's garnered support for the project directly from Lamborghini. Gülpen will use computer models of the actual Aventador and a five-axis milling machine to form an aluminum mold, which can then be used to make a carbon fiber mock-up of the model. Solid gold isn't the only possible material for the car. In addition to details like wheels, glass, and interior made from gemstones and other precious metals, Gülpen says on his website that he'll build the car out of whatever the buyer wants--as long as they have the money. Along the way, Gülpen hopes to create three new Guinness Book of Records entries for himself and the buyer: the most expensive model, the most secure container and show case, and the most expensive Lamborghini logo.